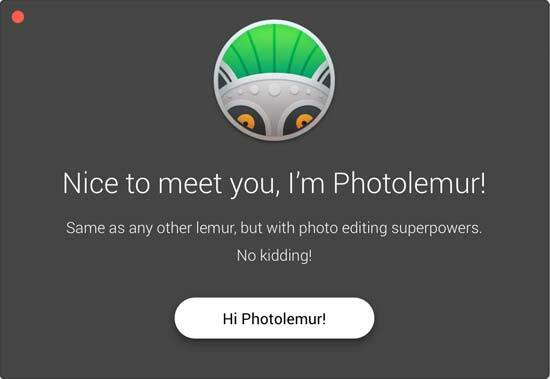 A new version of Photolemur was released in April 2017, which aims to make using the software even easier. The company points out that the new version, although sharing the same name, is not an update, but rather a completely new version of the program. The company describes Photolemur as “the world’s first automated photo enhancement solution for Mac and Windows, using image recognition, artificial intelligence and a little bit of real-world magic.” Over 900,000 digital photos have been analysed by the software during its creation and development, which should allow it to decide the best enhancements needed for any given image. 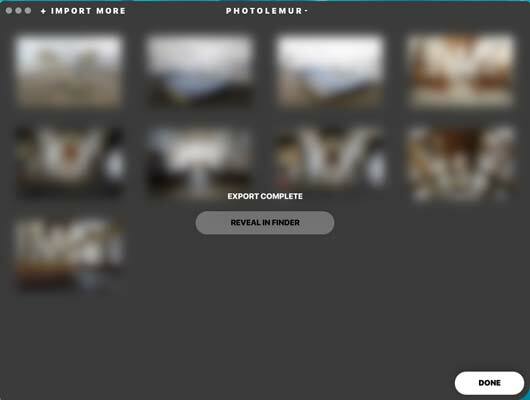 As well as simplifying the interface, Photolemur is now available using a subscription model. The regular price for a subscription is $5.99 a month, but you have to buy a year’s subscription at once. At the time of writing, there were significant discounts available for those signing up to the early release of the new software. 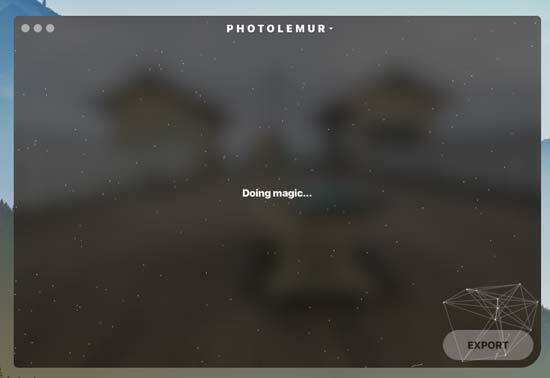 Once you’ve downloaded the software from the Photolemur website, follow the on-screen instructions to install it on to your computer. We have been testing the Mac version of the software, but it should also be relatively straightforward to install the Windows version. If you’ve already got the older version of Photolemur, you should be asked if you’re happy to overwrite the old version. If you’re not sure, you may want to keep both and manually remove the older version at a later date if you prefer the newer one. Photolemur will continue to support the older version of the software, but only until the end of 2017. If you already own the older version, you can get a discount on the new program. At this point, you’ll be asked to login to your account. You can use your account across four different machines, which is useful if you have multiple devices. You don’t have to worry about purchasing different versions for Mac or PC either, your login will work no matter what you open it up on. 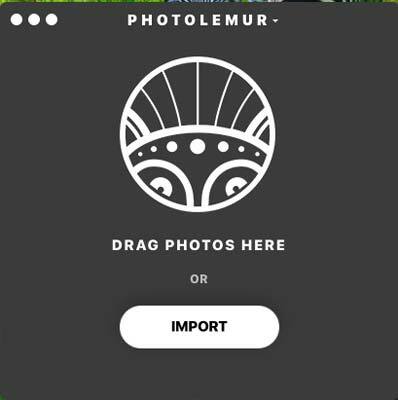 There’s no option to get a free trial of Photolemur, but there is a 30-day money back guarantee, so if you don’t like how it works, or the effects it produces, you can apply for a refund. In this new version of the software, any options which were up to the user have been taken away. All you need to do is either drag and drop a photo, or click the button to find it on your computer. 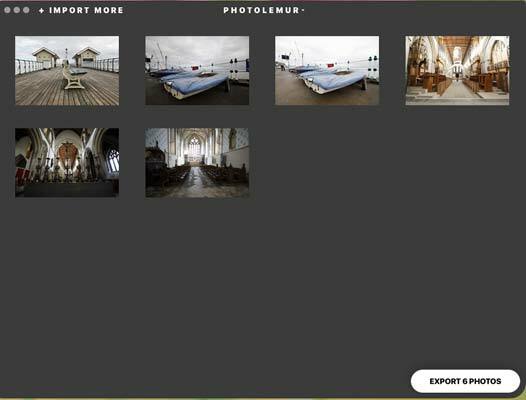 When you load in a photo, the software will start analysing the image. It will look for faces, objects, perform brightening and so on. This process is very quick, and once complete, your image will appear on the screen. You will see that a before and after is shown, and you can use a slider to compare and contrast the two side by side. If you drag the slider all the way one way, you’ll see only the before image, and if you drag it the other way, you’ll see only the after image. If you want to, you can also drag and drop batches of photos to be worked on. After you drag a set of photos across, you’ll see them appear in the workspace as a set of thumbnails. You can double click on whichever one you want to look at more closely, and the same process of applying the edits will begin. 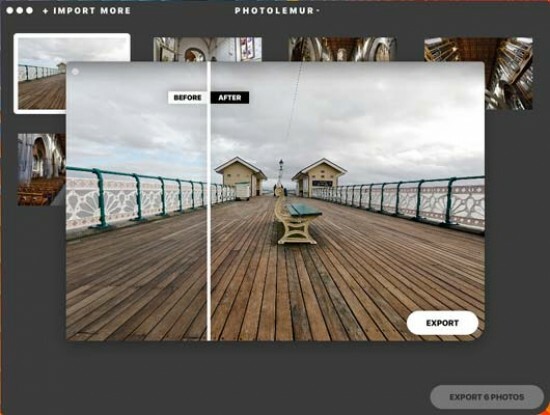 Once that’s done, a window will pop up with your before and after image - once you’ve done it you’ll be able to double click on any given image without having to go through the process again. 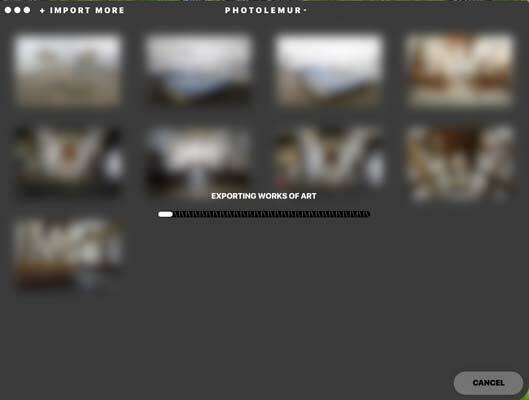 You can choose to import more photos at any time - either by clicking on the “Import more” text, or again by simply dragging and dropping the photos into the workspace. It’s not necessary to double click on each of the photos to perform the edits. If you’re happy to let the software add the edits without previewing each one, you can click “Export” in the bottom right hand corner. Here you’ll see you have the option to either save the files to somewhere on your computer (or a hard drive), or you can export it to Flickr, email, Facebook or Twitter. 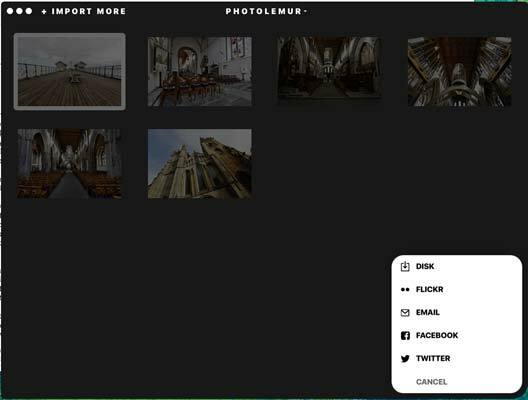 You can also individually export each photo, by double clicking on the image and clicking export - this could be useful if you only wanted to share one of your images to Facebook, for example. Let’s assume you want to save the photos to your computer, once you’ve chosen a folder to save them in (or created a new one), click Export, and you’ll see a status bar progressing. It can take a while for the photos to be processed - as an example, we processed 10 JPEG images at once, and it took the software almost ten minutes to finish processing. Once the export is complete, you can choose to “reveal in finder,” which will open the folder on your computer where the images are stored, or you can click “Done” to go back to the main window. As well as JPEG images, the software can recognise raw format files - according to the company, over 900 different models are currently supported.